Mapplwells Primary and Nursery School has the feel of a village school, yet it’s in the heart of the sprawling Nottinghamshire town of Sutton in Ashfield. 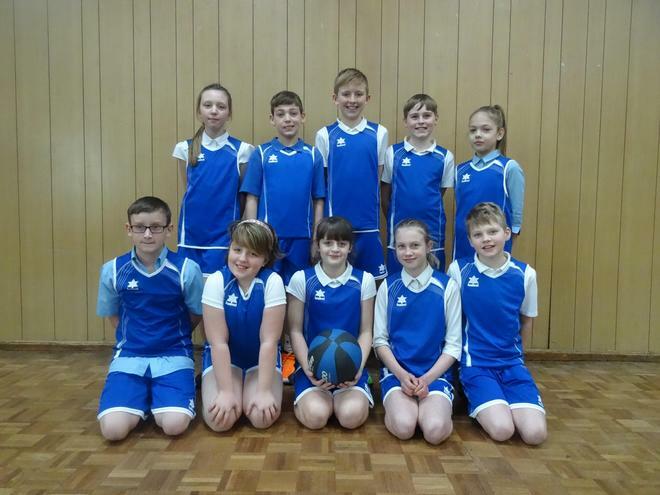 Based in a strong community where generation after generation has attended the school, Mapplewells has established a new sporting tradition - MINI-BASKETBALL. Playing in the Western Region of the 33rd Nottinghamshire, Lincolnshire and Leicestershire Mini-Basketball Clinics, Mapplewells won another four matches, defeating Abbey Gates 19-6, Ravenshead C of E 15-10 and 12-7 and High Oakham 15-10. Their particularly fast style of play has taken teams by surprise. It's a fun way to play the game, passing running and shooting their way to success as February 2016's Notts Mini-Basketball Clinic's School Team of the Month. Director Jimmy "Jumpshot" Smith said, "Mapplewells have built a wonderful chemistry among their players. Their conduct, fast-break play and timely passing has set a fine example for the schools in their area. I wish Mapplewells continued success as we move into our rally programme after Easter.